Add romantic vintage vibe to your outfit with Trish necklace set. The necklace is made from aged gold metal with tiny metal flowers and clear crystals on both sides. 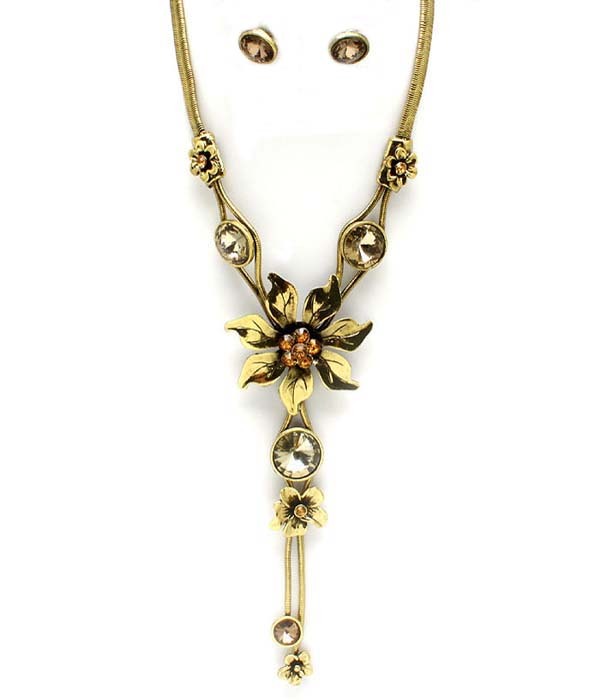 Large flower with brown studs in the center and dangling metal chains with adorned edges. Order this gorgeuous necklace now from Australia's fastest growing online jewellery store.